يقع Cedarwood Lakeside على ضفاف بحيرة روتوروا، ويضم مسبحًا موسميًا مدفئًا وسبا في الهواء الطلق وسبا داخلي خاص ومرافق للشواء. ويوفر خدمة الواي فاي المجانية ومواقف مجانية للسيارات في الموقع. يوفر الموتيل قاعدة ممتازة لاستكشاف هذه المنطقة الشهيرة بصيد الأسماك ومسابح الطين والأنشطة البركانية. يقع وسط مدينة روتوروا على بعد حوالي 8 دقائق بالسيارة ويبعد مطار روتوروا الدولي وبوابة سنترال بارك مسافة دقيقتين بالسيارة. يتميز Cedarwood Lakeside بأماكن إقامة حديثة وفسيحة تتألف من مزيج من الوحدات والاستوديوهات. وتحتوي جميع الوحدات على تلفزيون إل سي دي 32 بوصة ومشغلات دي في دي بلو راي لترفيه الضيوف. وتشمل المرافق الأخرى غسيل الملابس للضيوف وملعب للأطفال. Check-in is not possible after 08:00 PM. Guests arriving outside the mentioned check-in hours are requested to provide an estimated time of arrival in the Special Request section upon booking. يرجى إبلاغ Cedarwood Lakeside Motel & Conference Venue بشكل مسبق بوقت وصولك المتوقع. بإمكانك استخدام حقل الطلبات الخاصة أثناء عملية الحجز أو يمكنك التواصل مع مكان الإقامة مباشرةًً من خلال معلومات التواصل المذكورة في تأكيد الحجز. Very great view. 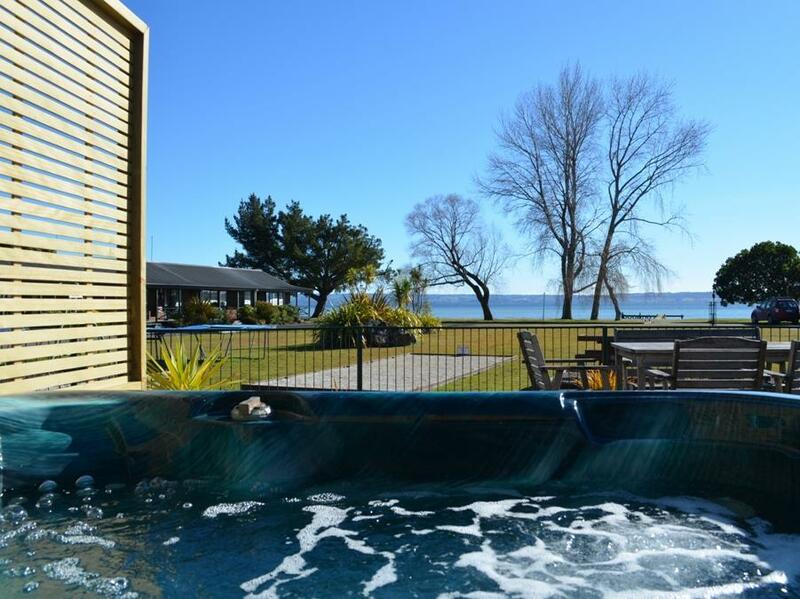 Stayed in the best view at Rotorua! The owner Mr. Hwang is so nice and helpful.. he has a German Shepard, Max. I miss Max already! Like people who loves dog. Definitely will go back and stay there next time. It is in yhe residential area by a beautiful lake. Good for kids and family too. Staffs are friendly, check in with complimentary milk, clean and neat room. Both me and my husband enjoyed stay in this chalet. Love the location of the hotel, right on the lake and views are breathtaking! The stay was very enjoyable, super quiet environment with beautiful lake view (especially during sunset), wooden style rooms are very clean and cosy. Friendly staff pre-warned us about 'trout fly' issue, and it is not a problem if all windows keep closed during night while lights are on. Overall, we will stay in this hotel next time for sure. We stayed at Cedarwood for one night with our one year old. 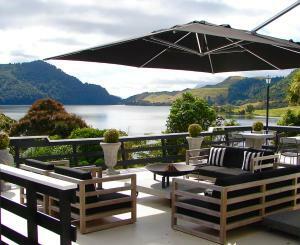 We would definitely stay here next time we are in Rotorua. It is about a 10 minute drive to the city centre. We were pleasantly surprised when we arrived. The rooms are spacious and the scenery is great. We loved it there and would definately go back. This was one of our favourite places so far to stay at.